Welcome to Frozen Nerdz Episode 17 - Epic Overalls! Welcome to the Frozen Nerdz Podcast Episode 17 - Epic Overalls! We are a your Blizzard Entertainment and Steam Free to Play discussion podcast. Each week we discuss anything that falls in between or outside those two glaciers. From talking about the games you love, the worlds you live in, AND maybe even a few you haven’t even tried yet. Join us each week as Kilroy and myself, Epicinsanity, sit down and discuss the things no one else is talking about. as we bring new points of view, in a not so standard podcast format. On Today’s episode we talk all about microtransactions inside World of Warcraft, but that doesn't last long before we jump right into the Starcade talking about Tessera a First Person Shooter inside the Blizzard Arcade. Then we talk about mobile Hearthstone connectivity, and then warm up inside our Steamroom talking about the Steam Summer Sale. Then we have some fresh news to order in our Indie House where we discuss the kickstarter for a podcast favorite, Catlateral Damage. We wrap the show up by digging deep into the IceBox and reading a listener submitted email in fine Frozen Nerdz fashion. 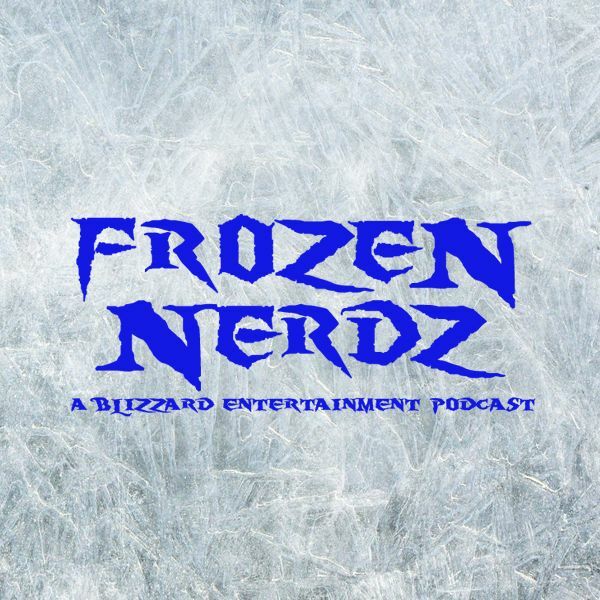 So sit back, relax and enjoy Episode 17 of the Frozen Nerdz Podcast.